My research interests are in the cultural and intellectual history of twentieth-century Europe and America. I focus on the conditions of intellectual production—the settings, contexts, and institutions that enable and authenticate ideas. My work also explores the mechanisms and questions of knowledge transfer among national, political, and cultural contexts. My first book Dreamland of Humanists (University of Chicago Press, 2013; paperback 2015) analyzes the intellectual collaboration of Aby Warburg, Ernst Cassirer, and Erwin Panofsky in interwar Hamburg. The book argues that this group's unconventional scholarship in art history and philosophy arose from the familial, religious, and economic conditions of their city. I am currently completing a book that examines how the modern research university was shaped by competition between Germany and America. Over the course of the 19th century 10,000 Americans traveled to study in world-renowned German universities unique for their devotion to both research and teaching. By the middle of the 20th century American universities had overtaken their German counterparts. How did America go from being a receiver of knowledge to a producer of one? What was the relationship between the institutional and intellectual history of knowledge organization and the political history of nations in a globalizing world? My book project retells the traditional tale of the modern research university as one of innovators and incumbents in which the role of intra-national competition was often as important as the international. In my telling, the university emerges as a surprising mechanism for local sub-national innovation in our current age of resurgent nationalism. Other work examines the divergent paths taken by Germany and America in knowledge organization for research productivity today; the role played by Jews in that transformation and Black Mountain College and its unique contribution to the history of German and American intellectual and cultural history. HIS 223: European Revolutions, 1789–1989 (Modern Europe): A survey of the political, social, and cultural history of Europe from the time of the French Revolution to the present with emphasis on the emergence of political ideologies and categories of inclusion and exclusion in the boundaries of Europe. Uses technology to enhance the teaching of historical skills and to facilitate peer learning. HIS 376: Germany and the World in the Twentieth Century: Upper-level undergraduate course examining the vicissitudes of Germany in the twentieth century in light of its changing relationship to the world. Introduction to a variety of historical methodologies, including cultural and comparative history, gender, and everyday life. 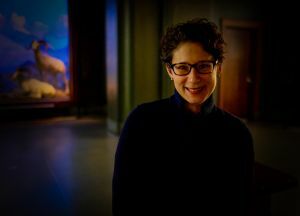 Occasionally taught as a "Digital Humanities" course with instruction in web design, infographics, and creating podcasts. HIS 392: The Holocaust: History and Meaning: Upper-level undergraduate lecture course developed as 2014 Curt C. and Else Silberman Fellow at the United States Holocaust Memorial Museum on the origins and implementation of the Holocaust, and the challenge this event poses to the study of history. Topics include the long history of anti-Semitism in Germany, debates about Germany’s aims, the motivations of perpetrators, and the difference between the Holocaust in the East and the West. Can be taken as a graduate directed study. HIS 510: Historiography (Writing History from Above and Below): This M.A. course offers an introduction to the themes and approaches that have been influential in the historical profession from the late 19th century through to today. Selected readings by such philosophers and practicing historians as Bloch, Ranke, Marx, Braudel, Thompson, Foucault, Scott, and Said. Undergraduate enrollment by permission. HIS 511B: Historical Research and Writing: "'Democracy and Its Discontents': The Weimar Republic, 1919-1933. "Speaking and writing intensive capstone seminar in the major examining the relationship between culture and politics in Germany’s interwar period. Research assignments, peer review, and writing feedback leading to final independent research paper. Coming soon—a new course on the History of Anti-Semitism. "Homo Academicus Localis: The Circulation of Ideas in an International Context," in Ideengeschichte. Traditionen und Perspektiven, ed. D.T. Goering (Transcript Verlag, forthcoming, spring 2017). "Nützlichkeit, Kultur und die Universität in transatlantischer Perspektive," in "Die Transnationale Universität," Jahrbuch der Gesellschaft für Universitäts- und Wissenschaftsgeschichte No. 18 (2015), (Franz Steiner Verlag, 2016). 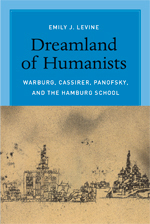 Dreamland of Humanists: Warburg, Cassirer, Panofsky and the Hamburg School (University of Chicago Press, 2013; paperback 2015). "Baltimore Teaches, Göttingen Learns: Cooperation, Competition, and the Research University,” The American Historical Review (June 2016): 780–823. "PanDora, or Erwin and Dora Panofsky and the Private History of Ideas," The Journal of Modern History 83 (December 2011): 753–787. For more publications see VITA. Book Prize: Winner of the 2015 Herbert Baxter Adams Prize in European history from 1815 through the 20th century, American Historical Association. Book Accolade: Finalist for the 2015 Jordan Schnitzer Book Award, Cultural and Media Studies, Association for Jewish Studies. For more awards and honors see VITA. "The Right Way to Fix Universities," with Mitchell L. Stevens, The New York Times, December 1, 2017. "Enhance Humanities Career Outcomes? Engage Faculty," with Nicole Hall, Inside Higher Ed, October 2, 2017. "If Colleges Are Dismantled, Consider the Impact on Their Cities." The Chronicle of Higher Education, October 16, 2016. Levine's Dreamland of Humanists reviewed in the New Republic. "Bauhaus to Black Mountain: German Émigrés and the Birth of American Modernism." Los Angeles Review of Books, May 16, 2016. Review essay of Helen Molesworth, Leap Before You Look: Black Mountain College, 1933–1957 (Yale, 2015). "Just What Makes a Good European? Merkel, Nietzsche, and the future of Europe," Foreign Policy, July 8, 2015. American Historical Association, Member Spotlight, October 7, 2015. The Trinity School, Alumna Author Profile, Spring 2015.